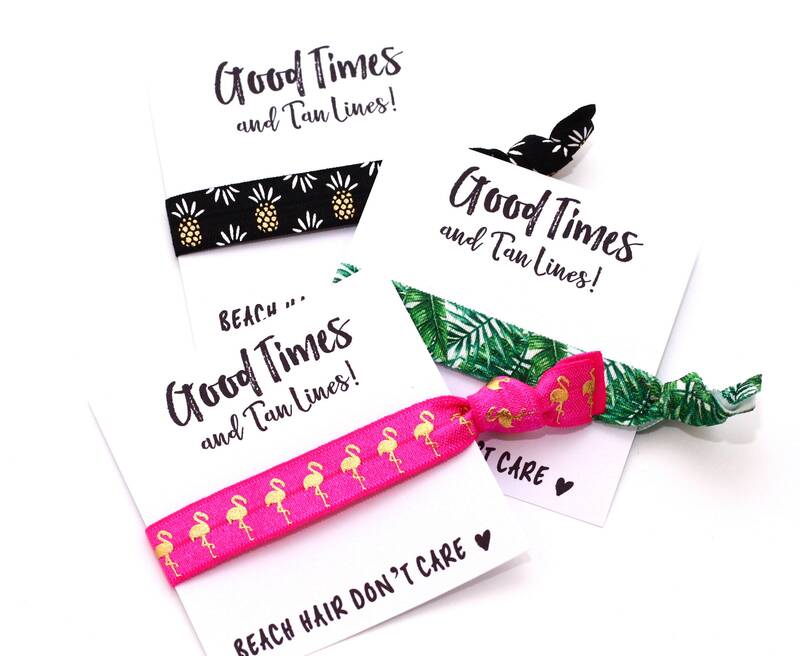 Kick your party game up a notch with our tropical hair tie favors. Your girls will LOVE them, we promise! They are perfect for a bachelorette party, shower, pool party, girls getaway, birthday parties, and any other cause for celebration! 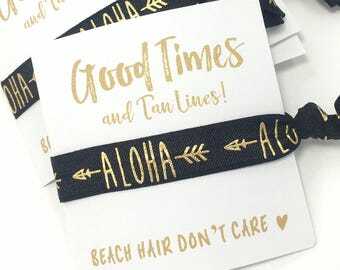 3 | Personalization Section | Refer to the card selection photo to choose the saying for your cards & Hair Tie. Write the name of the tie you'd like and the corresponding number for the card you have chosen in the personalization section, there is an example shown above the personalization box. If you'd like a mix of ties shown, just write mix! If choices are not left, you will receive the item/colors pictured by default. So cute! Can't wait to give these to my bridesmaids on our wedding day. Perfect little addition to their gift bag and such a good price!